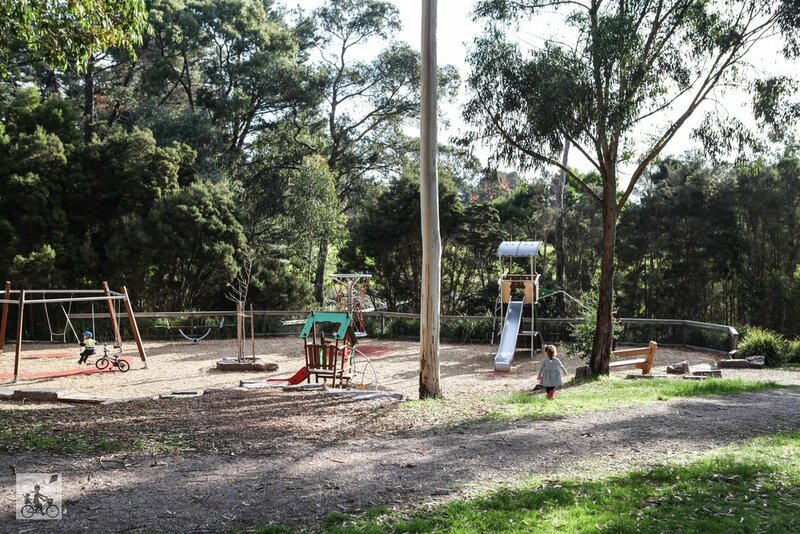 Mamma has spent many hours of her teens walking and exploring the neighbourhood of Croydon Hills, including hanging out after school at Yarranga Reserve. Except now it has had a shiny new make over. The wooden playground has been replaced with some super cute and interesting equipment. There is a mini cubby complete with slide. A community swing circle so a whole group can swing together. A bunch of rockers and seesaws. PLUS there is the huge climbing structure which should really challenge young ones as they scale the tower to the slide at the top. Fitness equipment has also been installed nearby and the tennis courts, BMX track and plenty of walking trails all remain. Yarranga means 'beneath tall trees' and you can be certain to find those here - making a walk through the forest super fun - just like heading out on a bear hunt! The lake is still home to a bunch of ducks and of course, the community centre is right here too! Mamma's special mention: You can't see this playground from road so don't miss it as you are driving past. It is up behind the community centre. After a play you can always head to McAdam Square for a snack at either the Rumour Mill or The Scented Garden.